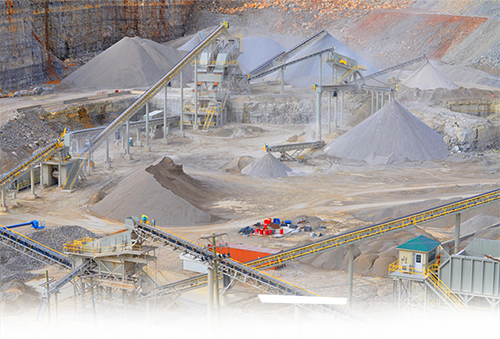 AggFlow software products are used by aggregate producers, miners, equipment manufacturers, engineers and dealers to simulate aggregate and mining operations. The software enables users to build both simple and complex crushing, screening and/or washing plants on the computer screen. By choosing equipment types and settings, monitoring flow rates and gradations at desired points, and then virtually running the plant, users can compare calculated results to actual field results. AggFlow helps identify and highlight the differences between what the plant should produce and what is does produce. 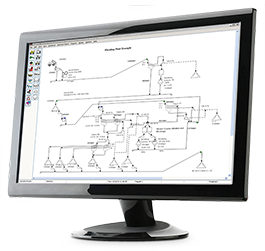 Producers can use the software to virtually identify bottlenecks and inefficiencies in the plant, then simulate unlimited “what-if?” scenarios to accurately assess the impact of potential changes for maximizing plant efficiency and achieving optimum production mixes. Likewise, engineers, equipment manufacturers and dealers can use the program to compare and contrast the impact of different machinery, plant setups and operating modes. The program is an excellent tool for the design of new plants in order to optimize the proposed plant layout and identify what equipment will best meet intended goals. AggFlow DM (Design and Manage) is the latest version of AggFlow. While it still is a software program that must be installed on an individual computer, it now employs secure online data storage, eliminating the need for a hardware USB key. AggFlow DM itself offers two separate licensing options. The AggFlow Design license continues to provide plant design assistance for equipment suppliers, engineers and producers. Design users can hold a Design license, and can create an unlimited number of design projects. AggFlow Manage Project licenses allows customers to buy individual project licenses and invite an unlimited number of users per project license to access that project. Both sides of AggFlow DM store work on BedRock Software’s secure servers, allowing easy access and sharing through a simple, protected login process.